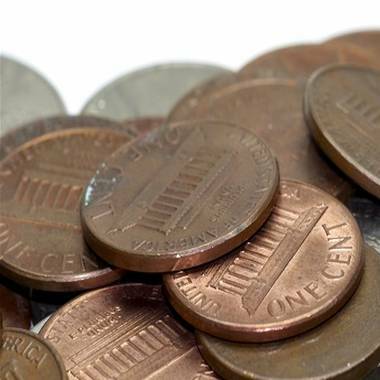 Penny pinching: Can Obama manage elimination of one-cent coin? President Barack Obama finally broke his silence on an issue of national importance Friday – he thinks it’s time to retire the penny. The possible extinction of the one-cent coin was a featured economic question in a Google+ Hangout with the Commander in Chief last week as John Green, the co-creator of a popular YouTube channel, applied a little presidential peer pressure. But why should anyone care? They’re pennies. Aren’t there more valuable things to worry about? First, pennies actually cost more to make than they’re worth. In 2012, every penny cost 2.41 cents to make – more than twice their face value. And as zinc and copper – materials used in minting the penny – have become costlier due, in part, to manufacturing shifts in China, which are likely to raise costs further. Granted, the total cost of minting pennies was only $58 million last year – less than one-tenth of a percent of total federal spending in 2012 – but groups like Citizens to Retire the U.S. Penny have long been making the economic case for getting rid of the penny (plus, the group adds, fishing for pennies adds about 2 seconds to each cash transaction per day). And the U.S. military has already decided they’re essentially useless; all Army and Air Force Exchange Service stores on bases round all cash purchases up or down to the nearest nickel. With both parties looking for ways to cut government spending, it seems as though cutting penny production could be a relatively painless, if insignificant, place to start. But in the Google+ Hangout, Obama ceded that Washington has bigger fiscal fish to fry. There have actually been efforts to pass penny-banning legislation. Back in 2001, then-Rep. Jim Kolbe (R-AZ) introduced the “Legal Tender Modernization Act,” which would have made pennies obsolete by requiring retailers to round up or down to the nearest nickel on cash purchases. That bill failed, and Kolbe’s second attempt in 2006, the “Currency Overhaul for an Industrious Nation (COIN) Act,” after zinc costs nearly doubled, met a similar fate. It wouldn’t be the first time Abe Lincoln’s coin got a makeover. Back in 1982, the penny changed from 95 percent copper and 5 percent zinc to 97.5 percent zinc and 2.5 percent copper. (And lest so-called “penny hoarders” try to melt that valuable pre-1982 copper down, the Mint in 2006 prohibited the melting of pennies and nickels. It also made it a crime to carry more than $5 in one and five-cent coins out of the country). Changes to the composition of pennies do have Congressional champions: Ohio Rep. Steve Stivers (R) introduced the “Cents and Sensibility Act” in December 2011, which would mandate that pennies were out of American steel (much of which comes from the Buckeye State) and dipped in copper. But these efforts will be met with some serious resistance from the zinc lobby (yes, there is one). The company Jarden Zinc, which creates “metal and zinc coinage,” according to its website, paid lobbyist Mark Weller $340,000 in 2012 to discuss issues related to “minting/money/gold standard” with members of Congress and the Mint, according to the Center for Responsive Politics. Weller also represents the pro-penny group Americans for Common Cents, whose website warns of the risk of inflation that eliminating the penny would bring, and whose headquarters are on K Street, known for its many D.C. lobbyist offices. “Americans for Common Cents aims to inform and educate policymakers, consumers, and the media about the penny’s economic, cultural, and historical significance,” the group’s website reads. The political power of the penny is likely another reason Obama hasn’t acted on getting rid of it. As far back as 2008, when he was still a candidate, the “penny lobby” appeared to mystify Obama.